What is the Market Direction Predictor behind perdictionwizard.com? Believe or not to believe, this is the question? It is part of a bigger analytical and trading supporting program system. It gives information about future market direction. The original idea of the system is from 1997. The system design started in 1998, coding and implementation started in 1999. But it was not until 2005 when we finalized the first version of the market direction predictor. The core model of the original implementation is still intact after more than four years. We did not use any off-the self trading package to create the system, since we did not want to limit ourselves to apply only previously known technologies or methods. The system has historical data of over 7000 socks (Which is all NASDAQ, NYSE and AMEX stocks) and has Real-Time data of a selected list of stocks. The Market Direction Predictor, currently generate directional information for the six major US indices on three different time-frames. - Daily predictions. Predictions calculated Today, before the close of the market day, for the next market day. We also recalculate our prediction soon after the market close, before the next market open to get the final prediction information. Daily predictions valid till the end of the next market day. - Weekly predictions. Predictions calculated this week, usually Friday, before the market close, for the next week. These predictions are valid till the end of next week. We also recalculate the predictions after the market close on Friday or later in the week to finalize the predictions before the next week starts. - Monthly predictions. Prediction calculated on the last day of the month before market close. These predictions recalculated after the market close to get the final prediction information for the next month. These predictions are valid till the end of the last trading day of the next month. The predictor supports overnight trading. - Opening position(s) in response to the predictor information soon after the information becomes available, either before the regular market close and / or soon after the regular market close, using aftermarket trading, but still the same trading day. We should note here that we consider opening a position before the regular market close, as we do not have exhaustive test data available by opening positions after the regular market close, even if we assume that the profit potential would be similar on a longer-term basis. - Closing the position the following day(s) after holding the position overnight. We should state that it could be possible to hold the position more than one day, even if that usually occurs less than 10% of the cases if we are involved in overnight trading and not swing trading or investing. To be exact it occurs, if the next day’s movement is a strong directional movement with only one major swing during the day, so that our positions not closed by our stop conditions or exit conditions and we get a predictor information before the close of the next day, that points to the same direction so we might decide to hold all or part of our position for another night. It is also possible to close the position the next day before the market opens. (Using Pre-market trading) If the market set to open with a big GAP in our direction than we might also decide to close some or all of our position in the pre-market trading. We should note here that we suggest closing our positions during regular trading hours, as we do not have exhaustive test data available by closing positions in the pre-market trading session. We would like to note here for Day-Traders and Swing traders, that overnight trading makes it necessary to reexamine the stop conditions, the stop levels that you might want to employ. Sure it depends a lot on the asset type you are using as the trading vehicle. But optimally it should be noticeably bigger than the stop levels used during a Day-Trading session and usually noticeably smaller than the stop levels used on swing trading positions. We suggest to consider smaller positions and less volatile asset types to get the comfort feeling first. Assuming that we are in the last hour of the regular business day, and we are overnight traders, what should we do if we want to make profit in the market the next day on a consistent basis? - Stay put and do Not do anything. - Will the market on the next business day will close Above / Below the open of that day? Even if in many cases the answer for those questions would result the same position, as the answer from the predictor for the described question. Assuming that we are in the last trading day of the week, and we are overnight traders or swing traders, what should we do if we want to make profit in the market the next week on a consistent basis? The question and answer was similar for the monthly predictor. The predictor is NOT a direct Buy or sell signal, it is rather a much more flexible directional information, as the predictor try to quantify not only the direction of the future movement in the indices, but also the strength of those directional prediction, that is the win probability of the prediction. Some traders, who willing to accept less probabilities to win in a situation, might be willing to go with directional information that is not that strong, which means lover probability to win and smaller Win / Loss rate, but potentially results more trade in a year and possibly bigger overall profit. Others might decide to use only the very high probability directional information. A third type of trader might use only the Long or only the Short directional information as actionable information. The current version of the predictor is already much better than we could be in our personal prediction, based on classical technical analysis, and beat us consistently over a longer period. We believe it would beat most of the professional human players in this game. We are very confident in the technology developed by us and can’t imagine that human thinking can take correctly into account so many different factors affecting the markets and make so precise objective opinion with such a success rate on a long–term basis. If the market movements would be like a random walk, predicting future movement would be absolutely impossible. If we accept, that the market has rules, and the market usually adheres those rules, than we might draw the conclusion that predicting market movements with good probability would mean, that we are modeling those forces and rules that move the markets pretty well. Many traders stick to the old adage, that the prediction of any future market movement is absolutely impossible, since there are millions of impacts, hitting the markets continuously and the weight of those impact also change in time. This is looking at something from the comfort zone and not digging into it deeply to find the answers for the questions. Yes, we would say, it is true, that the future market movement will be impossible to predict with certainty, because that would be the end of the game. All we can say, that our Market Direction Predictor currently predicts the future market direction better than professional individuals would be able to do. Of course you do not have to believe it!. It is enough for us if you just raise the question, that it might be possible to predict the market direction with a good probability, and spend a few seconds every day in the next few weeks to look at our numbers, our predictions well before the market open and follow up later. You just have to believe your eyes, that is all we are asking. All the other work will be done by the predictor, and it will nicely exceed your expectations, that is what we are sure of. 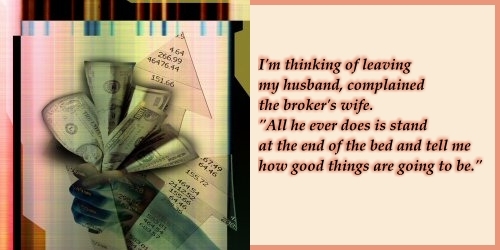 Every time, we got engaged in a trade in any index–related asset, we implicitly try to predict the direction of the index. Though most of the time the trader just simply get into a trend, once identified it and stay with the trend, but that could change in the next second or any time later. Sometimes the toughest call to predict the market’s direction when the market is really in an indecision, moving within a tight range. It is this time, when the predictor is probably the most helpful to us, giving the direction information. It might be difficult to predict a Bullish next day, when the market is really week, or a Bearish next day, when the market is really strong. But the predictor is helpful in these circumstances too. 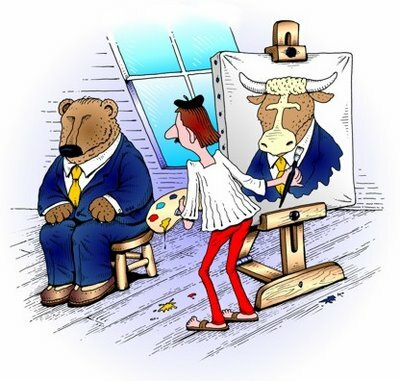 Other times, calling Bullish next day amidst a strong Bull move or a Bearish next day amidst weak market periods might be a prediction that players would accept easily as natural consequence.